At OVC we understand that competitive soccer tryouts can be stressful for players at any age! We believe that players can show their best game when they have confidence in their ability. Therefore, we are opening our club training sessions to everyone who is interested in playing with OVC because we believe training will build confidence. 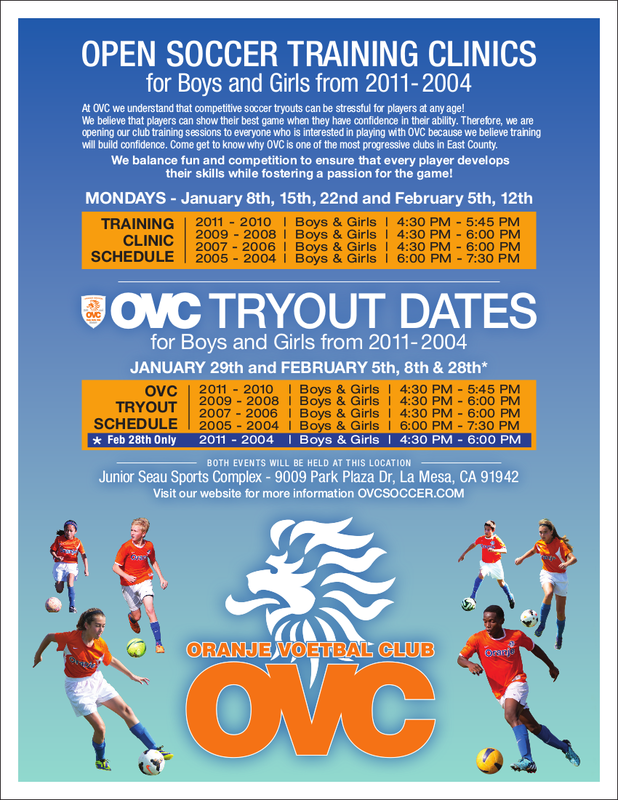 Come get to know why OVC is one of the most progressive clubs in East County. We balance fun and competition to ensure that every player develops their skills while fostering a passion for the game!